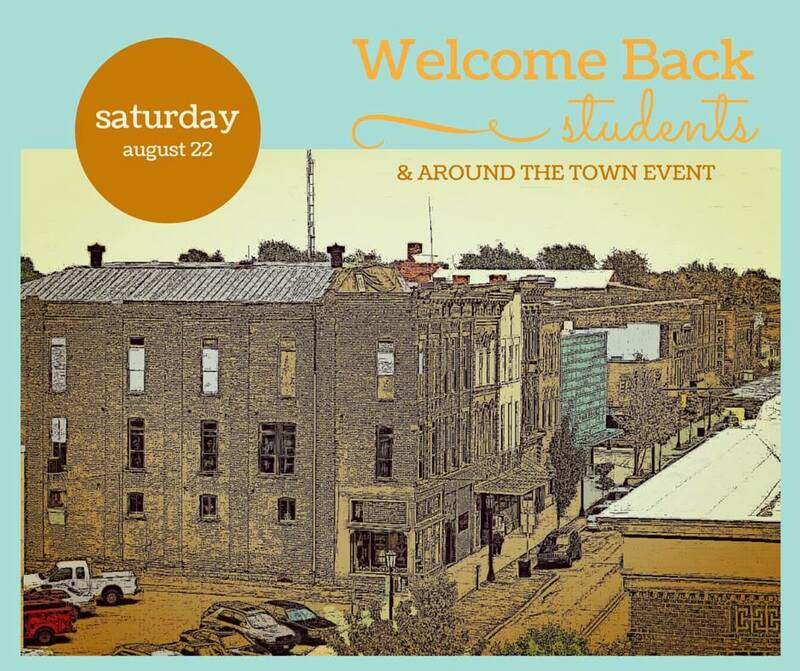 Nearly 1,000 Heidelberg and Tiffin University students will have an opportunity to see what more than 60 Tiffin businesses and organizations are all about at a Welcome Back Students/Around the Town Event this Saturday, Aug. 22 from 3 – 5 p.m. on the courthouse green space. Around the Town is one of the signature events of the Downtown Strategic Plan, and this is the first year that the event will be held downtown and combine both universities. WTSC Seneca County Radio will be live broadcasting from the event, playing music and interviewing guests. Several restaurants will be providing free samples, shops and restaurants will hand out coupons and menus, non-profits will provide students with information about how to get involved in their organizations and students can check out local services. SIEDC Downtown Development Specialist Bryce Riggs is a Heidelberg student the lead organizer of the event. “As a student and lifelong Tiffin resident, I am aware of the opportunities in the community, but the majority of new students don’t know what’s out there or where they can go. Tiffin has so much to offer! I would like other students to know what’s out there, so they can get involved in the local organizations and visit our restaurants and shops,” Riggs said.